Some jobs are more important than others. We all know that. 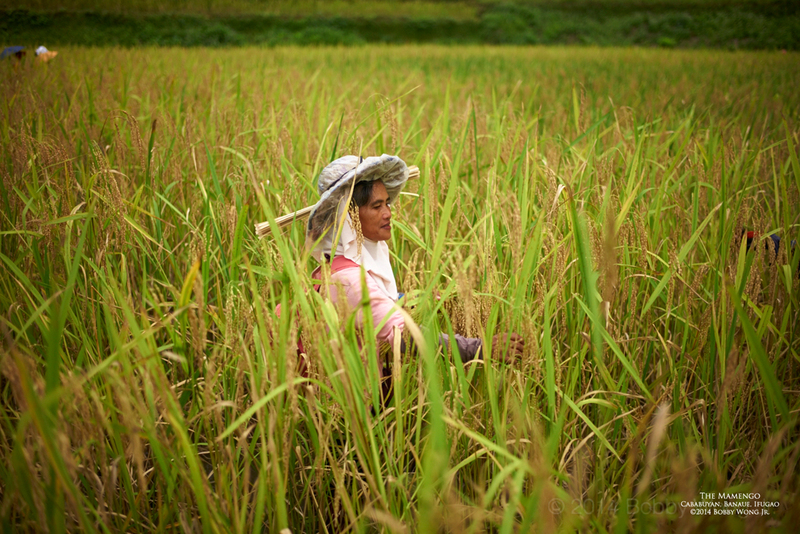 And today on the rice terraces of barrangay Cababuyan in Hingyon, the most important job belongs to the mamengo. The Ma-meng-who? Five percent of their annual harvest will be set aside as seeds for next year's planting. So does it make sense to choose the very best? Enter stage right: Eliza the mamengo. On harvest day, her job is to walk ahead of the pack and select the biggest, healthiest, and most vigorous-looking seed bunches. The cream of the crop. This ensures next year's harvest will have all the qualities of the best, and none of the worst. It's a practice handed-down through the generations. Darwin would be proud. Enjoy. Errata: Cababuyan is in Hingyon, not Banaue as the photo caption indicates. The shortest distance between two points is a straight line, right? 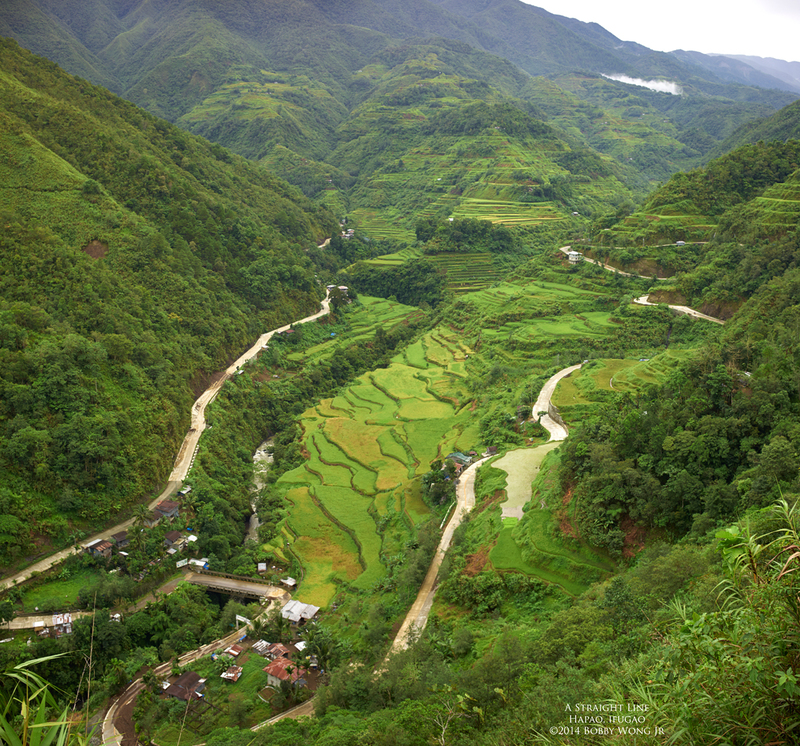 Here in the Ifugao hills, it doesn't seem to matter. Take a look at today's postcard. The road starts somewhere on the upper right hand corner, then it winds, curves, and loops until it comes to a bridge on the lower left hand corner of the photograph. After crossing that bridge, it loops, curves, and winds back to nearly where it started, before taking a sharp left and disappearing into the next hill. Wouldn't it have been simpler to just build a long bridge, cross the chasm right then and there, and spare us from all those dizzying turns? Who knows!?? Out here, we're just happy to drive these winding roads... with the wind in our face... while we soak in those awesome views. Enjoy. Some say the current generation of upland farmers will be the last, because their children are better educated and want a better life. I say not. This is Lily. 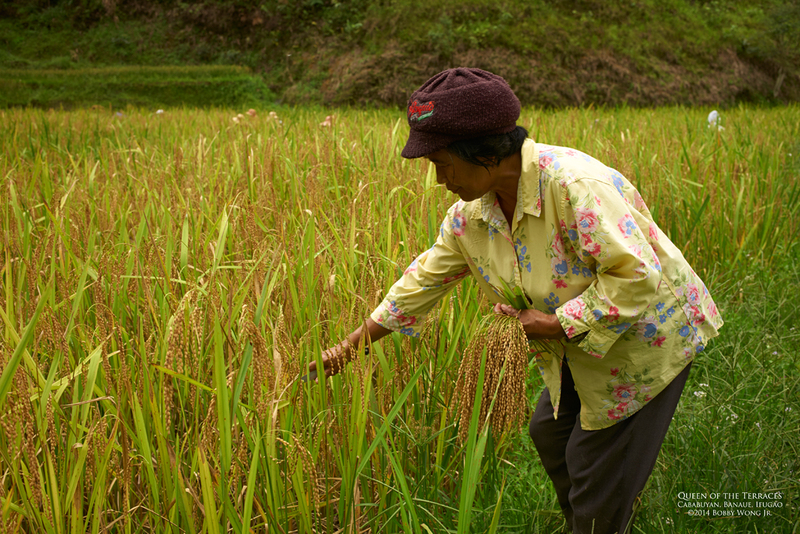 She and her husband own several terraced rice fields here in Cababuyan in Banaue. Her husband inherited them from his father, and one day she expects to pass them on to their children. Her children are all educated, have jobs in the city, one even has a career in North America. None are interested to live a life like theirs. So why do I think this won't end with them? We arrived on harvest day, the one day of the year when Lily's annual crop need to be reaped. Forty people showed-up to earn just P200 each (about $5.) These folks likely also sowed these fields six months earlier, or helped tend the dikes between then and today. Clearly there are enough of them around... those who don't own any rice fields... but still need to live off the land. So even if the landed few seek better pastures elsewhere... someone here will till what they leave behind... and these fields will go on. Because life always finds a way. Enjoy. 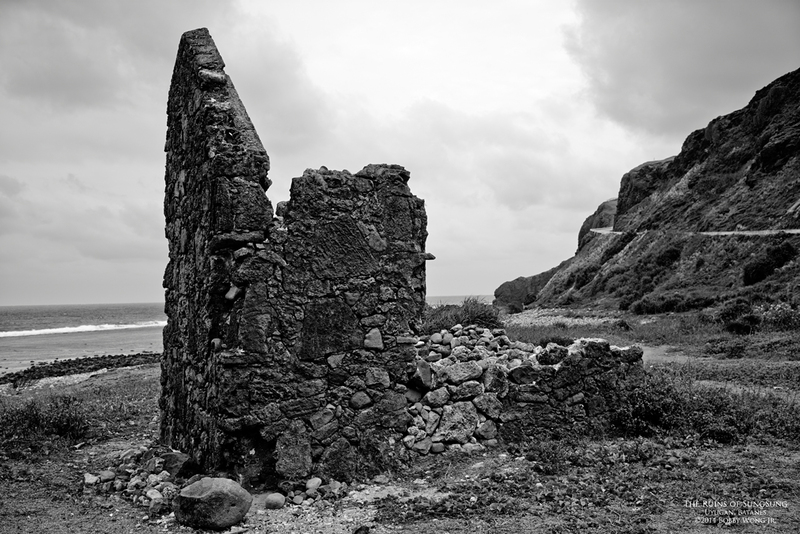 In the town of Uyugan in Batanes lie the remains of a small community called Sungsung. As legend goes, sometime in the 1950's a series of tsunami's rose from the sea and wiped them out, stone houses and all. What remains today are rubble piles, most of them still in the shape of homes laid to waste. You'd think their stone houses were built to withstand precisely this kind of onslaught, but nature can be a formidable adversary. Enjoy.